One was the arrest of WikiLeaks founder Julian Assange. The other was a proposal by lawmakers from Georgia, the Peach State, that looked more like an export from the Georgia that was part of the Soviet Union: a so-called “ethics in journalism” act that would have imposed onerous new requirements and potential civil penalties on reporters. There has to be something special about what journalists do, and how and why they do it, that makes them worthy of a privilege that others don’t receive. As two journalism professors who practised the craft for many years before becoming teachers of it, we know firsthand how powerfully reporters are drawn to unpopular causes. It’s an admirable reflex that often makes for great journalism and a better society. 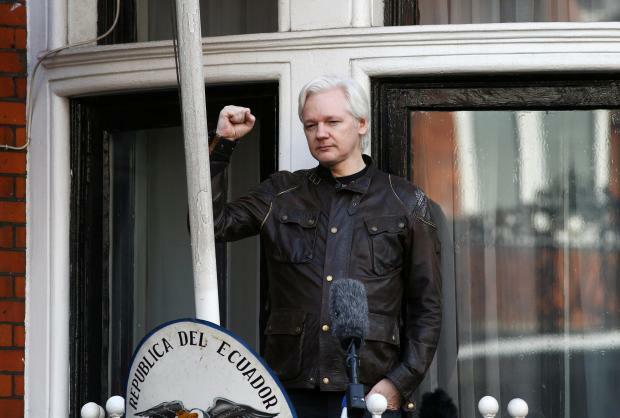 But granting Assange journalist status is beyond problematic: It’s likely to draw more attacks on press freedom such as the Georgia lawmakers’ thinly disguised attempt to sanction and ostracise journalists whose work they don’t like. As the Pew Research Center has shown, journalists already are an endangered species. In part that’s because the digital revolution eliminated the advertising that subsidised newsrooms. But as the Knight Foundation has documented, those financial problems are compounded by a credibility crisis. “Most US adults, including more than nine in 10 Republicans, say they personally have lost trust in the news media in recent years,” the foundation reported in September 2018. There may be lots of reasons for this but it certainly doesn’t help that more Americans are getting their news from social media feeds that intermingle journalism with the kind of propaganda that is keeping Facebook busy playing whack-a-mole with trolls, sent a deluded man with a gun to a neighborhood pizza restaurant in Washington, DC and stoked protests on a college campus with incendiary fake tweets. When WikiLeaks posted the e-mails of Democratic National Committee and Clinton campaign staffers in 2016, it included home and e-mail addresses, and credit card, social security and passport numbers, as well as the details of a staffer’s suicide attempt. Rottman’s measured analysis also notes another concern for data reporters: The 1984 law at the heart of the Assange indictment - the Computer Fraud and Abuse Act - could, if interpreted in an overbroad fashion, endanger journalists (or other members of the public, such as academics) who use computer programming to “scrape” otherwise hard-to-analyse information from public government websites. But that’s not the issue here. The best way for press and press freedom organisations to ensure the Assange case doesn’t set precedent that interferes with the public’s right to access important information – even information the government doesn’t want to reveal – is through friend of the court briefs.